Women in Afghanistan are very limited to the things they are allowed to do. In the Afghan culture, the society’s perspective towards women political participation is very limited due to gender double standards. However in 2004, the Afghan Constitution approved women’s political participation. 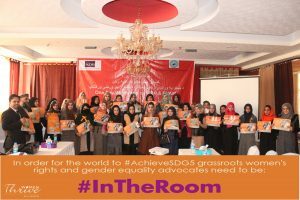 This was for once a positive change encouraging women’s participation and it was even accepted by the Afghan Constitution. One fourth of the seats in the Parliament will be allocated to female MP’s. Legal protection for women has opened many previous closed doors. This inaction has motivated and given women the courage to use their rights that were snatched from them. It has enabled them to look forward towards the future. A new sense of hope emerged from one step towards protecting women rights. Participated. This was truly a commendable increase in the numbers than ever before; however obstacles still overcame their way. They still had to face challenges in order to maintain their given rights. They had to accept this disapproval from the society and their families in order to gain what they wanted to achieve. Ningrhar, Takhar, Mazar Herat and Mazar for 800 Imams & 800 women activists. 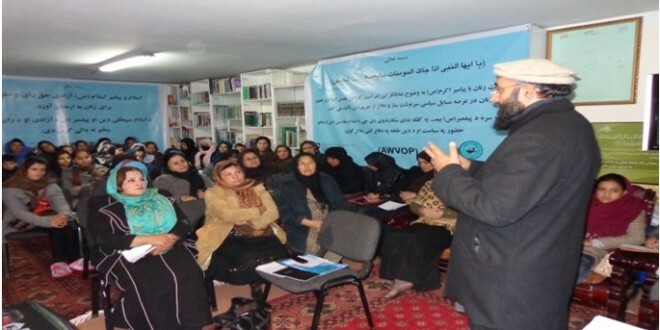 The solid achievements of the project: Through support of the Imam’s we further trained 280,000 individuals in 8 provinces, and through the support of women trainees we could manage to further train 21,600 women. Throughout the Radio Nationwide programs during peak hours, we could provide the wide range of awareness raising for public from the Islamic perspective on women’s political participation at least to 3,400,000 individuals. Through campaigns in the last two Fridays close to the election, we conducted physically campaigns in 8 provinces for 3,200 individuals about the importance of voting outreach by women & men. The Nationwide Radio Campaign for 20 minutes covering the last week of campaigns we sent the strong message of voting outreach which provided awareness for at least 3,400,000 individuals nationwide. NECDO remained a committed member of AIEC in 8 provinces where they attended their coordination meetings, distributing their awareness packages and promoting voting outreach through NECDO’s Network of Imams in 15 provinces with more than 1000 Imams. The journey was long and tiring, it wasn’t an easily facilitated change. However, NECDO never forgot its moral obligation to the women of Afghanistan.